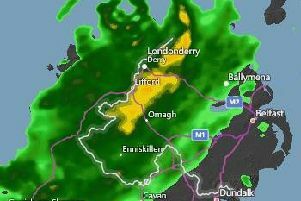 The Met Office has updated a yellow status weather warning of wind for Northern Ireland. 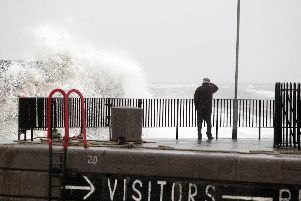 The warning was first issued on Wednesday but the Met Office updated it on Thursday morning. The update was issued on Thursday. The reason for the update given by the Met Office was: "the original warning issued for Friday and Saturday has been split into two to change the areas of risk and validity." The weather warning issued on Wednesday has been split into two. The first weather warning is valid between 9:00am and 6:00pm on Friday. The second weather warning is valid between 12:15am and 3:00pm on Saturday. Met Éireann officially named the weather system Storm Erik on Thursday. "A deep area of low pressure will bring windy and often wet weather across much of the UK on Friday and Saturday. A period of particularly strong winds will affect Northern Ireland and western Scotland on Friday, with gusts of 50 to 60 mph inland and occasionally 70 mph along exposed coasts. Winds will ease slightly on Friday evening," said the Met Office. "A swathe of very strong westerly winds is expected to push across Northern Ireland, southern Scotland and northern England through Saturday, easing from the west during the day. Inland gusts of 55 mph are expected quite widely, with some places having gusts to 70 mph, more particularly around exposed coasts and hills," said the Met Office.